We looked at the top 1 Digital Photo Frames and dug through the reviews from 3 of the most popular review sites including BestReviews, Tech Lemming, All In All Reviewer and more. Through this analysis, we've determined the best Digital Photo Frame you should buy. In our analysis of 77 expert reviews, the ViewSonic ViewSonic 10.2-Inch Digital Photo Frame placed 7th when we looked at the top 8 products in the category. For the full ranking, see below. 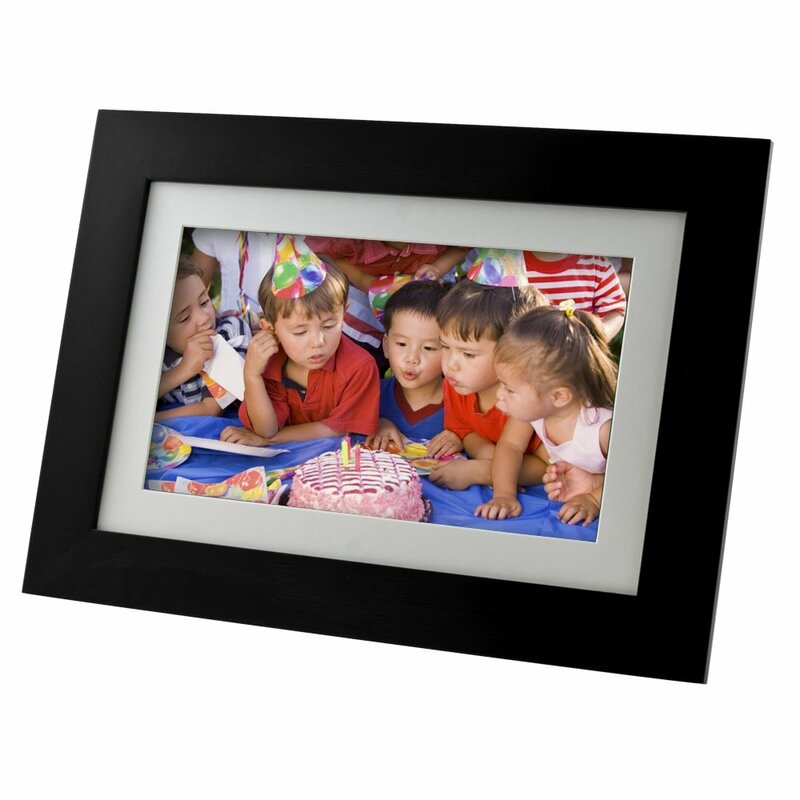 The frame offers a brightness level of 400cd/m2, 128MB of internal memory and a contrast ratio of 400 to 1. This 10 inch frame comes with its own remote as well and it costs $69.95. The frame also has an excellent picture resolution. Many users felt discontent about the lack of auto-sensing feature. The frame can only be placed in a horizontal position, and this is considered a limitation for those who wanted to place it vertically. The high 1024x600 resolution LCD screen provides brilliant picture quality. It is fun to show case your long lasting memories in various slideshow effects. VFD1027w-11 comes with 128MB internal memory to store photos and supports SD/MS/MS Pro/SDHC/MMC memory card readers. The beautiful layout & design for the calendar and clock feature brings everyday usage with style.